Almost everybody is familiar with a dog’s tongue, whether it’s hanging out of the mouth of a dog on a hot summer day or being used to vigorously lick the owner in a greeting, this organ is sure to play a conspicuous role in a dog’s life and the life of the people living with the dog. Yet, there are so many things to discover about a dog’s tongue such as the tasks a dog’s tongue is responsible for, the various anatomical parts of the tongue, the number of taste buds populating it and much, much more! So today, let’s have the dog’s tongue do the talking and tell us his fascinating story. Hello, it’s your dog’s tongue talking! Yes, just for today I have been granted the ability to speak and I am honored to be on stage to talk about myself. I am sure you are already familiar with me, I’m that familiar muscular organ that is often seen hanging out from your dog’s mouth when he is hot or tired as after romping in the yard. I am usually kept nicely moist with doggy saliva and my color is normally pink, but in the dog world, there always seems to be some exception. Wanna know something really cool? The chow chow dog breed boasts a fascinating blue tongue that is out of this world! People are often surprised when they learn that I am an organ, but since I am more than just tissue and am composed by bundles of muscles that are richly supplied with nerves and blood vessels, I think I deserve to keep this “title.” Wanna learn a bit about my anatomy? Well, my upper surface is known as “dorsum” and that groove you see in the center that divides me into two symmetrical halves is called the median sulcus. I am attached to the back of your dog’s mouth by the hyoid bone. While among humans, I mostly aid with chewing, swallowing and talking, in dogs, I carry out some other interesting functions. Ever wondered why your dog spits out those bitter pills with a disgusting look on his face? Well, I am home of the taste buds, special sensory organs that are scattered throughout my surface. Dogs are estimated to have about 1,700 taste buds, which is a mere number considering that on average, humans have about 10,000! Each taste bud is equipped with special taste receptor cells responsible for transmitting messages to the dog’s brain such as what he should or should not eat. It’s a known fact that dogs are capable of discerning between salt, sweet, sour and bitter. You see, generally, in nature, most bad bitter flavors, are a warning sign that an animal has likely encountered something that can be harmful or even poisonous, explains Stanley Coren.So no wonder why Rover spits out those nasty tasting pills! But hey, here’s a dirty little secret: you can fool my taste buds by wrapping up those pills in a piece of low-sodium hot-dog or piece of cheese (ask your vet first as some medications don’t agree with cheese). If your dog is a smarty pants and still detects the pill, you can trick him by giving him a series of cheese or hot dog pieces without the pill in a row and then in the midst of all of these you can give the one with the pill. 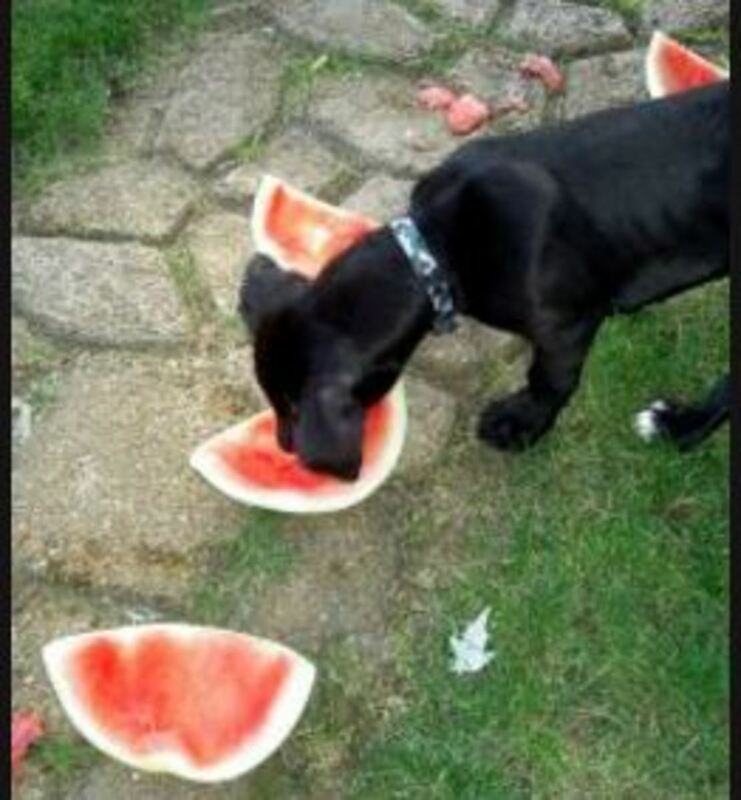 Chances are, your dog will be so eagerly eating, he won’t hardly even notice! On top of allowing Rover to enjoy tasty meals and avoid the potentially harmful ones, I also play a big role in helping him cool down. You see, when your dog pants, he’s not just hanging me out to look silly. Dogs are not able to sweat in the same people do, so it’s my turn to take matters into my own hands. Since I am moistened by saliva produced by four pairs of salivary glands, when Rover sticks me out as he breathes heavily (like 300-400 breaths a minute!) I act like a radiator. Basically, along with the rest of the dog’s mouth and upper respiratory tract, I allow moisture to evaporate with the end result of cooling him down during those dog days of summer. Now, don’t I deserve a nice pat on my back? Dogs don’t have the manual dexterity necessary to grab a cup full of water, bring it to the mouth and pour it down, so they rely on me when it’s time to drink. When dogs stick me out to get a drink of water, I curl up backwards and work as a ladle, collecting water and quickly bringing it in to the dog’s mouth. The dog then quickly bites down and then rinses and repeats the whole cycle until his thirst is finally quenched. So if you think your dog is messy drinker, don’t blame him, rather, blame me instead as my backward curl can cause some splashes! Now, watch me below to have a better idea on exactly what I do. Quite fascinating, huh? Did you know? Other than detecting sweet, bitter, sour and salt, a dog’s taste buds are even capable of tasting water, something quite surprising, isn’t it! Now you know why your dog has a potty mouth. Read more about this here: Dogs have taste buds for water. When you get need to clean a wound, you can just walk to your medicine cabinet and grab some bandages and a disinfectant, while dogs are left with nothing more than their mouths. This is where I can come handy. Dogs may use me as cleaning device to remove dirt or debris from a wound, and while I am at it, I can even disinfect it a bit too. My tongue is kept humid with saliva, and that saliva is thought to contain some beneficial compounds capable of destroying the cell walls of gram-positive bacteria. But as with almost everything in life, moderation is key. Did you know? I also play a role in keeping a batch of newborn puppies clean and happy. Mother dog uses me to vigorously lick the pups clean and improve their circulation as they take their first gasps of air. Mother dogs also uses me to stimulate the pups to potty, something day-old pups cannot do yer on their own! In humans, I play a main role in allowing speech and proper pronunciation, but in dogs I can also “speak volumes,” but this time we’re talking about body language. Those tongue flicks your dog does every now and then may look casual, but there’s likely more to it if you pay attention to the context in which they’re happening. Patricia McConnell in her book ” For the Love of a Dog: Understanding Emotion in You and Your Best Friend” explains that those fast tongue flicks can be a sign of low level anxiety or an appeasement signal. So watch what’s going on when you see me in action. It could be your dog is nervous at the vet’s often, not comfortable with a pal he just met at the dog park or nervous about being pat on the head. If you notice your best friend doing this, take notice of when it happens and then try to find ways to make your dog more comfortable in the future. Consider though that all tongue flicks in dogs don’t always stem from uneasiness or anxiety. You may also see me in action when your dog greets you walking towards you with the head lowered and tongue flicking as a friendly way to solicit attention. And of course, you’re likely familiar with me being used as a greeting tool when your dog submerges you with all those wet “doggy kisses” when you first come home. Have you ever seen your dog chatter his teeth when he sniffs something interesting and perhaps even foam at the mouth? When dogs do this, they are basically gathering large scent molecules and with my help they are able to send them towards their incisiva papilla a behavior known as tonguing. These scent molecules then reach the dog’s vomeronasal organ and finally the dog’s brain possibly eliciting a behavior response such as marking over the sniffed area. Interesting stuff, huh? You don’t hear about me much when it comes to medical diseases and conditions. Even though I am made of muscles, you never hear about me getting sore or a sprain as other muscles do. Something though that dog owners notice a lot is that I bleed a whole lot when I get accidentally cut. A bleeding tongue in dogs indeed can be quite scary at times! Using some ice on the area or offering a bowl of ice, cold water can help in such a case, suggests veterinarian Dr. Christian K.
Keeping the dog calm and relaxed is also important as any increase in blood pressure can increase my bleeding. Of course, see your vet if the bleeding is pretty significant! Also, if I start bleeding for no reason, it’s important to see the vet, as there may be some bleeding lump, blister, ulcer or wart hiding somewhere in the dog’s mouth that needs to be checked out. When I sustain any type of injury such as a bug bite, burn or cut, your dog will usually let yo know by drooling, smacking his lips a lot and sometimes being reluctant to eat. Glossitis is the term used for when I get inflamed and swollen and this can be triggered by several things such as a foreign body (think a burr or grass awn working its way into me), an allergic reaction, a fungal or bacterial infection or exposure to something toxic. Sometimes, immune diseases such as lupus, kidney disease and cancer can cause this too. At times, swelling right under me can be a ranula, a blocked salivary gland that causes saliva to collect under the tongue, explains veterinarian Dr. Kara. And yes, Hanging Tongue Syndrome is not what you see in those world’s ugliest dogs competitions, it’s actually a real medical problem. In this condition, trauma to the dog’s jaw or head can lead to nerve dysfunction which causes affected dogs to carry me abnormally. As with checking a dog’s gums colors, my color can also be an indicator of health or trouble. I am normally pink in color (except some exceptions such as blue tongues in chow chows and dogs with spotted tongues ) so if you see me turn pale, red, bluish or a yellow/brown tint, please see your vet right away as this can be a sign of a dog not getting enough oxygen as seen in heart and respiratory diseases and internal bleeding, decreased profusion (less oxygen moving through body) or liver problems (jaundice) among other possible causes. So I hope you enjoyed learning more about me today! As you can see, I can do a lot of talking! I won’t bite my tongue in saying that I play many important roles in your dog’s life, so make sure to take good care of me and keep an eye for signs of trouble. Your dog and I will thank you! Disclaimer: this article is not meant to be used as a substitute for professional veterinary advice. If you notice any abnormalities in your dog’s tongue, please see your vet for proper diagnosis and treatment. American Physical Society’s Division of Fluid Dynamics. “Fluid dynamics explain what happens when dogs drink water.” ScienceDaily. ScienceDaily, 25 November 2014. Gart, Sean, et al. “Dogs lap using acceleration-driven open pumping.”Proceedings of the National Academy of Sciences 112.52 (2015): 15798-15802. Psychology Today, How Good Is Your Dog’s Sense of Taste?, by Stanley Coren, retrieved from the Wed on March 4th, 2016. Ethology Institute Institute Cambridge, Why Do Dogs Like to Lick Our Faces?, by Roger Abrantes, retrieved from the Web on March 4th, 2016. Why Does My Dog Urinate While Sleeping? What Dog Breed is Known for Missing Teeth?